As of August 2018, we no longer offer Spring entry for FTIC applicants. First Time in College applicants have the opportunity to submit an application for Early Decision, Early Action or Regular Decision. Early Decision (ED) is a binding admission plan that is designed for students whose first choice is Howard University. ED applicants may apply to other colleges/universities while we review their applications, but may only apply to one college/university early decision. In general, if an ED applicant is offered admission to Howard, he/she must withdraw all other college applications. However, ED applicants seeking financial aid need not withdraw other applications until they have received notification about financial aid. Early Action (EA) is a nonbinding admission plan. EA allows high achieving students the opportunity to receive their admission decision early in the admissions process. EA acceptance decisions are provided to students in December. Scholarships are also awarded at this time for all accepted Early Action & Early Decision applicants that meet the specific requirements. EA and ED applicants with incomplete applications after November 15th will be moved to the regular decision applicant pool. Domestic ​students must submit their applications (along with the optional writing supplement) and supplemental documents (test scores, letters of recommendation, transcripts etc.) by the following dates. Click to view our Freshman Applicant Guide! 1. Application for Admission (Common Application ONLY). 2. Non-refundable $45 application fee. Payment is made via the Common App (personal checks are not accepted). If paying the application fee may cause you and your family to face unusual financial hardship, we will accept the Common App fee waiver*. *For your application to be processed, please ensure your counselor submits the required Common Application fee waiver affirmation. No other fee waiver form is required. 3. Official high school transcript (submission by your counselor via Common App/Naviance is HIGHLY preferred). *Transcripts sent via email will not be accepted. If your transcript is being sent via mail, please ensure it is sent by your school in a sealed envelope. 4. Official SAT or ACT scores. Only official scores submitted via the testing agency will be considered. Please note: All scores must be submitted via the respective testing agency. Score reports from school counselors and scores on transcripts will not be considered. The essay section is not required for either exam. October is the last test date that will be considered for early action & early decision applicants. December is the last test date that will be considered for regular decision applicants. Scores submitted after these test dates will not be considered. Finally, ACT scores cannot be superscored. 5. One letter of recommendation from a high school counselor (submission via Common App/Naviance is preferred). 6. One letter of recommendation from a high school teacher (submission via Common App/Naviance is preferred). Domestic students must also submit the Free Application for Federal Student Aid (FAFSA) to be considered for federal financial assistance. For DACA students, please complete the International Student Financial Aid Application (ISFAA). ISFAA forms can be submitted via mail or sent to explorehu@howard.edu. Students must submit their FAFSA/ISFAA form by the corresponding application deadline. Please see the Cost of Attendance page for more information. Earned 15 transferrable credit hours from a regionally accredited postsecondary institution. Earned a 2.5 cumulative GPA and received a passing grade of C or better in both a college-level English and college-level math course (C or better in Applied Calculus or Calculus I for the School of Business is preferred). Additional credentials such as a high school transcript and SAT scores may be requested for admission. High school credentials are not required unless they are explicitly requested. PLEASE NOTE: We will accept up to 60 transferable credit hours. If you have not met the minimum requirements for transfer admission, we will not be able to render a decision on your application. For example, if you are applying for Fall entry and will not earn the minimum required credits/GPA until after our application deadline, you will not be eligible for Fall admission. Your best alternative would be to apply for Spring entry. Unofficial transcripts or Common App transfer reports cannot be used to render an admission decision. Fall grades not yet earned by November 17th will not be considered for Spring entry. Grades not earned by June 1st will not be considered for Fall entry. 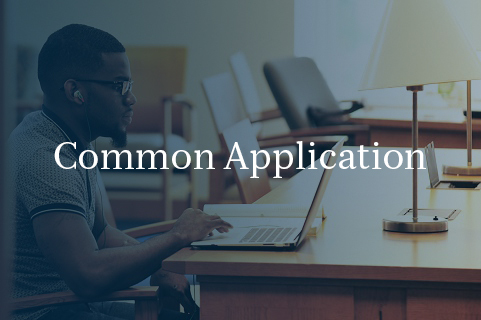 Common App reports (College Report, Mid Year Report, and Final Report) are not required. 2. Non-refundable $45.00 application fee. Payment is made via Common App (personal checks are not accepted). This application fee cannot be waived. 3. One official transcript from all post-secondary institutions attended. Transcripts may be mailed or submitted via Parchment, the Common App Centralized Transcript Service or the National Student Clearinghouse. If asked for the recipient’s email address, please provide admission@howard.edu. 4. One letter of recommendation from a professor or an academic advisor (submission via Common App is preferred). Domestic transfer ​students must submit their applications and supplemental documents (official transcripts and letters of recommendation) by the following dates. Our mailing address is provided below. Domestic students must also submit the Free Application for Federal Student Aid (FAFSA) to be considered for federal financial assistance. For DACA students, please complete the International Student Financial Aid Application (ISFAA). Forms can be submitted via mail or sent to explorehu@howard.edu. Students must submit their FAFSA/ISFAA form by the corresponding application deadline. Please see the Cost of Attendance page for more information. Our Summer & Fall 2019 applications are open. Our summer application will close on May 10, 2019, and our Fall application will close on July 19, 2019. Withdrawn for health reasons - Clearance from the University Student Health Center must be obtained, correspondence should be directed to the Administrator, University Student Health Center, 2139 Georgia Ave NW, 2nd Floor, Howard University, Washington, D.C. 20059. Proof of clearance should be provided to the Office of Admission. Suspended or dropped for poor scholarship - Such persons must appeal in writing to the dean of the college or school from which they were dismissed; and must have been out of school for at least one semester after having been suspended. Approval from the school/college must be received in the Office of the Registrar before readmission can be granted. Students should also remain aware of their Satisfactory Academic Progress (SAP) status as it relates to receiving Financial Aid. A separate appeal process is required for students who are not meeting SAP. Disciplinary suspension and/or withdrawal - Readmission may be sought for any period following expiration of the suspension period. Approval must be received from the Dean of Special Student Services in the Office of Admission before readmission can be granted. A student who is currently enrolled in a degree seeking program at a different institution who wishes to enroll at Howard for one academic year or less. Our Fall 2019 application closed on February 15, 2019. 1. Application for Admission (Howard University Online Application). 2. Non-refundable $45 application fee. 3. An official transcript with at least a 2.50 GPA. Transcripts may be mailed or submitted via an e-Transcript system (to admission@howard.edu) if available. 4. An official letter of permission from the student’s home school. The letter should include the student’s GPA and a list of courses the student is authorized to take at Howard. Applications will not be processed until such letter is received. A non-matriculating student who wishes to complete courses during the Spring or Fall semester. Typically students who require completion of prerequisite courses to begin a specific course of study are considered unclassified. 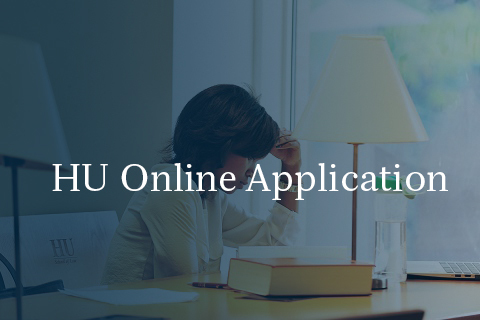 Our Fall 2019 application is open, and will close on July 1, 2019. A non-matriculating student who is applying to attend the summer semester only. Our summer application is open, and will close in late April.